Alex, has been a member of the Folsom Lake Symphony for 11 years as associate concertmaster. 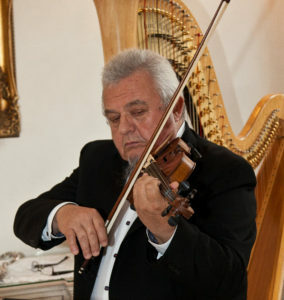 He graduated from the State Conservatory of Moldova with a Master’s degree in violin and piano. He traveled around the world as a professional violinist with several music ensembles. Currently, he is a member of Music Teachers Association of California and enjoys teaching as well as performing.